Gene Ziebarth was born and raised in Wetaskiwin and has resided in the community for most of his adult life. 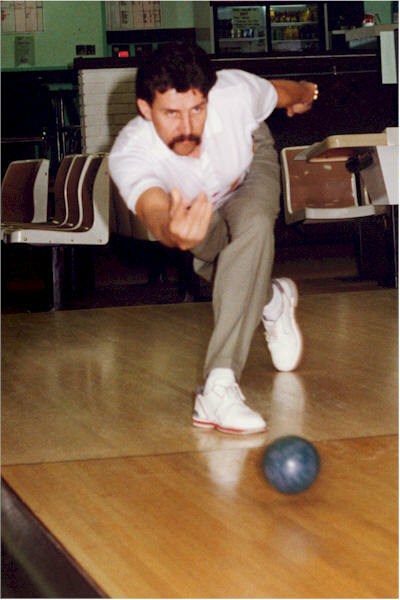 Although Gene did bowl for one year in high school it wasn’t until 1982 when he was 25 years old that he became involved in his sport again. After a year competing on the Teacher’s bowling team in Fort Saskatchewan, he began to compete at higher levels. In a short period of time he was representing the Central Zone in the Alberta “Open” Championships, a feat that he has accomplished for twenty-two of the last twenty-four years. 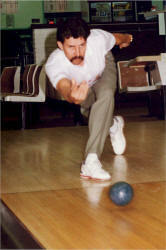 In 1991 Gene made the first of five trips to the National “Open” Championships. In those five years Gene’s Alberta team won the Gold Medal twice (1992, 2001), the Silver Medal once (2005) and placed fifth once (1991). Three times (1992, 2000, 2005) Gene was named a National All Star. 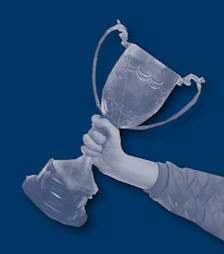 Gene’s finest accomplishment was winning the National Men’s Singles Championship in 2000. 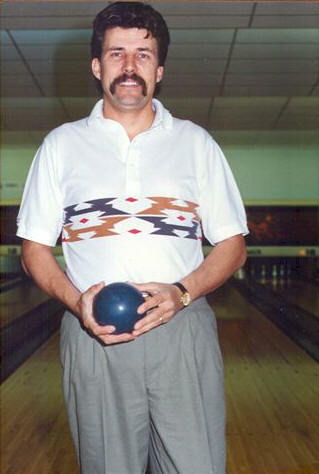 Gene has also participated in the Master Bowlers’ Association of Alberta since 1982. In Masters Bowling there are six major tournaments across the province with the top six men qualifying to represent Alberta at the Nationals. Gene has made the Alberta Team and competed in the National Championships ten of the last twenty-five years. In those ten Nationals he has won two gold, two silver and two bronze Medals. Because of his more than 25 years of involvement, Gene was inducted as a Life Member of the Alberta Master Bowlers’ Association. Gene also served the Alberta Master Bowlers’ Association in executive capacities working as a board member for over twenty years, acting as Director for seven years, President for seven years, Past President for one year and currently is a Tournament Division Director. Besides competing in the Open and Masters Bowling competitions, Gene has represented Alberta on CBC Bowling on television. In 1990 in Toronto Gene lost in the semi finals, in 1995 in Winnipeg he reached the quarter finals and in 2005 in Calgary he again lost in the quarter finals. Gene also competes on the Money Tour where he has won twice in Saskatoon, four times in Regina and once each in Winnipeg and Edmonton. During his years of competing Gene has amassed over thirty 400 point games with two perfect games of 450. He also holds a national record for the most consecutive strikes, 26 in a row. Gene continues to compete successfully in his sport. This season (2007-08) he became the first bowler in the 30 year history of the money tour to ever win three in a row by winning in Edmonton, Regina and Red Deer. Gene’s determination and his passion for his sport were apparent after a car accident in 1996. Gene shattered his right arm (his throwing arm) from the elbow to the wrist. The doctors said he’d never recover from the injury well enough to compete again. He fooled them. The cast was supposed to be on for five months; Gene had it off in four weeks. 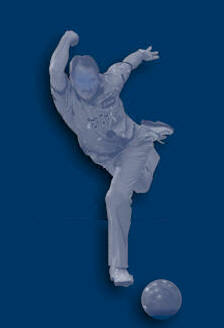 In no time he was back bowling and that injury doesn’t seem to have affected his successes. Since Gene started bowling he has been interested in coaching. In his early years in Masters Bowling he coached youth. As a tournament bowler he was unable to stay involved as a regular coach, however, Gene served as an honorary coach in Red Deer, Stettler and Wetaskiwin on an occasional basis. He has also worked every summer for fourteen years at the Elite School of Bowling in Saskatoon coaching young adults from Western Canada. Because of his accomplishments and longevity in the sport of five pin bowling we are honoured to induct Gene Ziebarth into the Wetaskiwin Sports Hall of Fame.